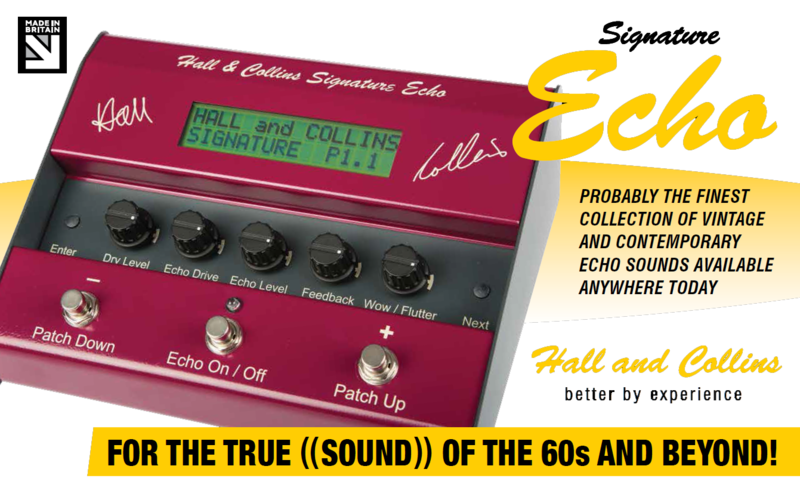 The Hall and Collins Signature Echo Unit is the fruit of over 5 years labour for Charlie Hall and John Collins. Sounds originally produced with valve/tube set ups can now be faithfully recreated with this unit's unique and specific valve/tube emulation technology. Charlie is well experienced with echo sounds. He wrote echo patches for third party host units that have been used by Hank Marvin and Peter Frampton for studio recordings and live performances, and now with the new technology specific to the Hall & Collins Signature Echo the echo sounds are far more authentic for your own use and enjoyment. 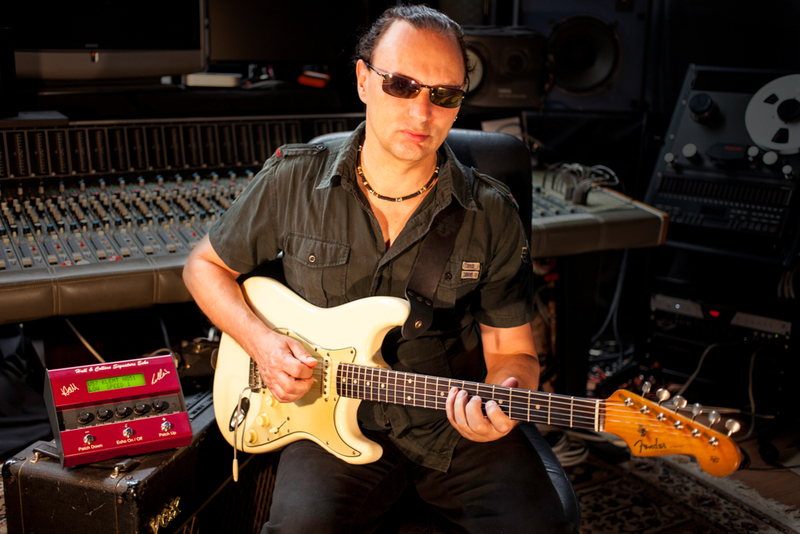 The serious guitarist is now able to accurately emulate the sounds that originally came from units that have now been unobtainable for half a century. It is with great sadness that we announce the sad passing of John Collins following a short illness at the age of 63. John was key to the successful development and subsequent launch of the Hall and Collins Signature Echo unit, his skill and tenacious approach was the perfect match to Charlie Hall’s skills and expertise, he will be sadly missed by us all. Charlie Hall will continue with the business and will develop new products as well as supporting the existing one. by Charlie Hall and John Collins.